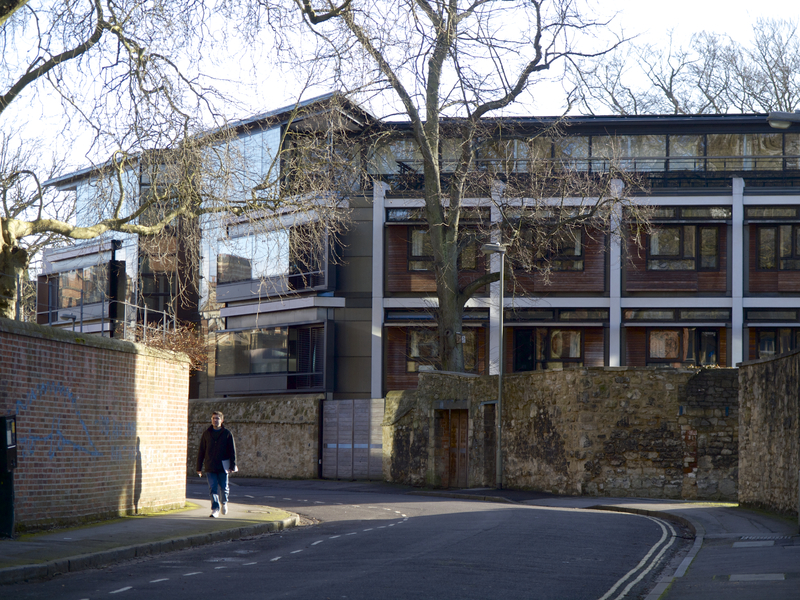 This late work by Richard MacCormac (d.2014) is the fifth Oxford ‘quad’ (and third project for St John’s College) from this practice, whose work in the city started with the Sainsbury Building (1984) at Worcester College, and includes student accommodation for Balliol and Wadham colleges. 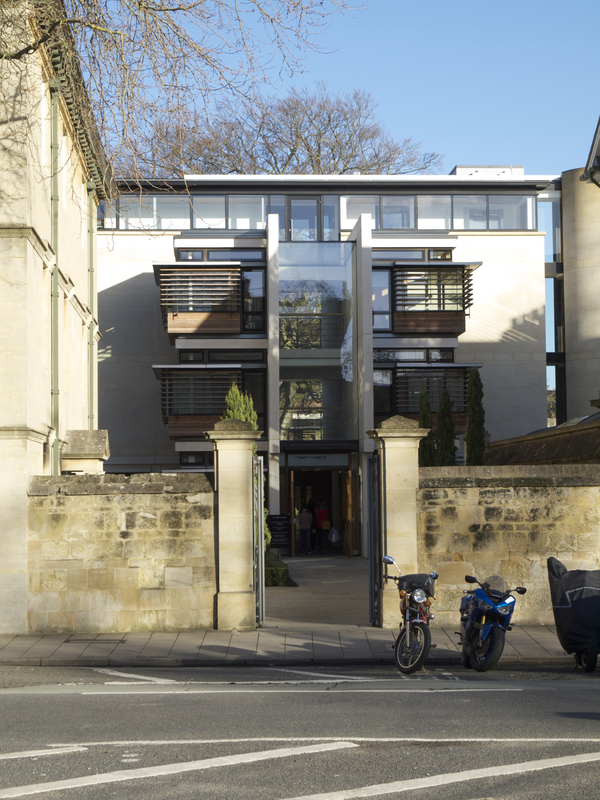 It is a leading contender for the finest building in Oxford of this century. The quad is open to the south and centred on a massive beech tree, which also aligns with the entrance from St Giles. The general arrangement is three floors of student rooms and fellows accommodation placed independently above a ground floor and basement of teaching and learning spaces and communal facilities for the college, including a café with roof terrace. Richard MacCormac had a particular genius for a ‘critical postmodern’ architecture that blends traditional forms or types with contemporary style, materials and technologies, together with a great sensitivity for the site and context. 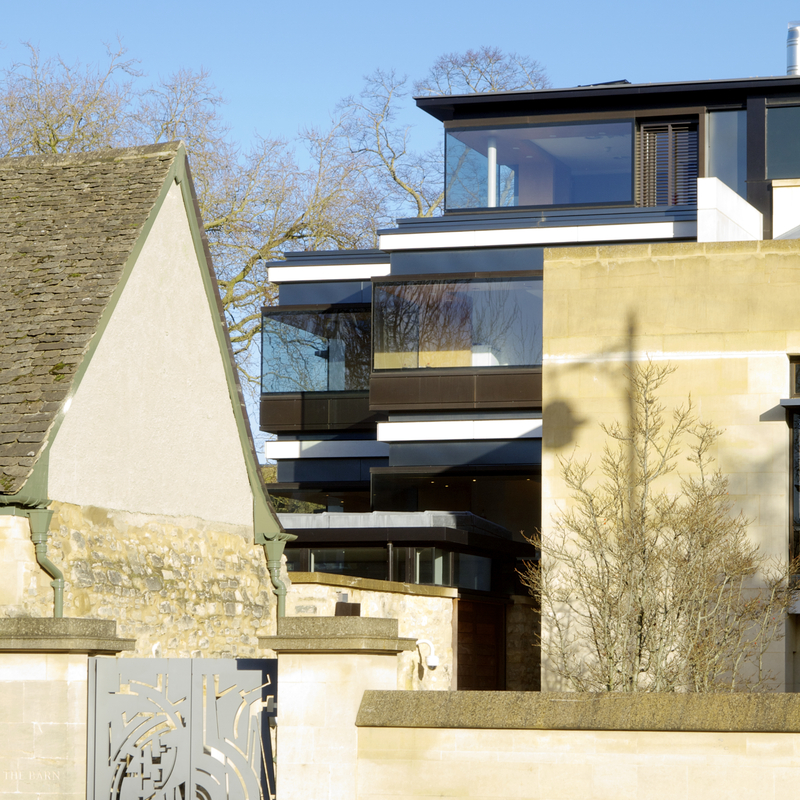 In some cases his work might be criticised for being over-complex, but here the somewhat extravagant postmodern historicism of Wadham’s Bowra Building (1992) and St John’s Garden Quad (1993) has been muted, resulting in a building that feels more contemporary and forward looking. It is exceptionally well built and highly efficient in environmental terms, and the architect has again worked with artists including Alex Beleschenko. 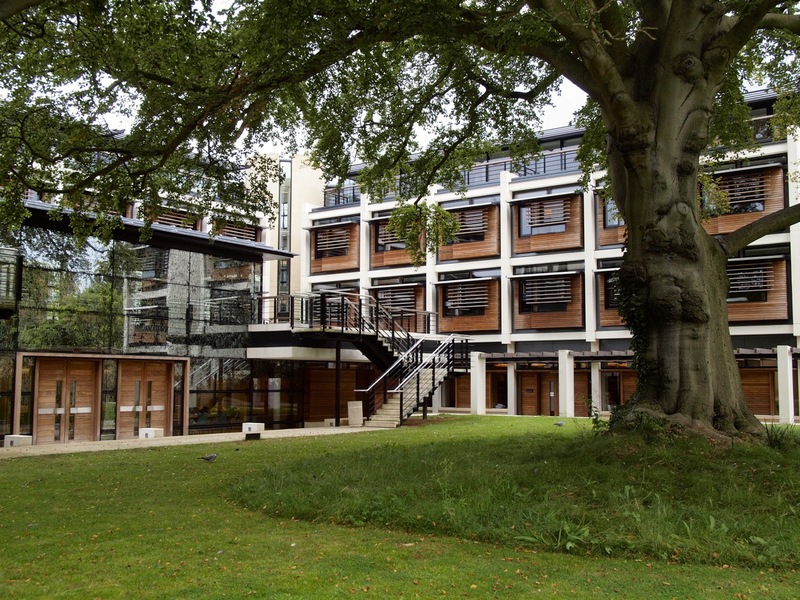 References: Ed Jones, ‘MJP Architects: Kendrew Quad at St John’s College, Oxford’, [WWW] Architecture Today, 7 December 2010.